A Must SEE!!! Jim Powell has spent more than 35 years in the communications business gaining experience in radio, broadcast television and corporate television including work as an operations, manager, producer, engineer, project manager, videographer, on-air talent, and programmer. A member of Society of Broadcast Engineers and a Certified Video Engineer in addition to being a Life Member and Board Member of The Media Communications Association-International, Jim is also a licensed FCC 1st Class Radiotelephone Broadcast Engineer with Radar (FCC GROL). 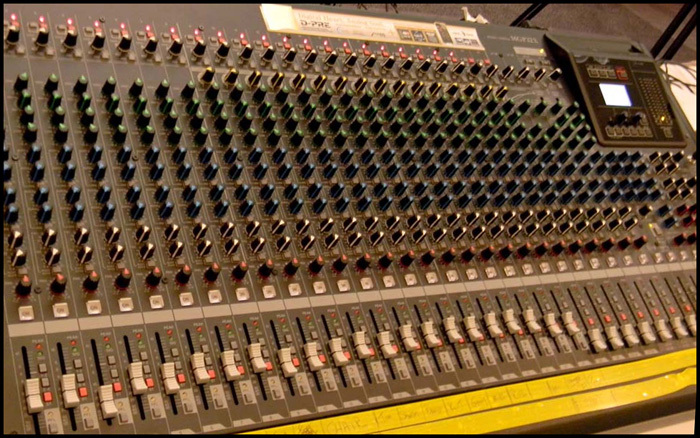 Today, he is an independent contractor providing production and technical support for recorded and live television production. He also lectures and teaches fundamentals of electronic presentation and related technology and has taught and shared production and communications business knowledge in lectures and seminars at the MCA-I International Conference, InfoCOMM and many MCA-I Chapters. He also continues to provide voice-over narrations for corporate and advertising customers. For more VO information, select Voice-Over or above. 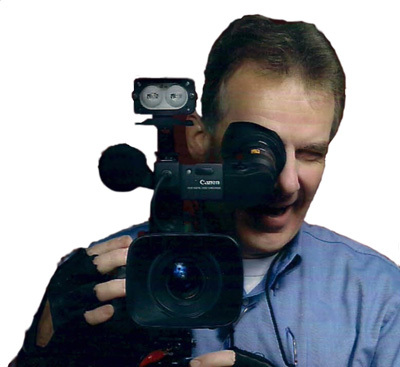 After spending almost 2 decades in radio and television broadcasting, Jim became an independent talent, videographer and producer winning The Silver TELLY Award, Cindy, Videographer Award, AiME Award and The Communicator's Award for work in documentary and business productions. The heart of our production system is the HD TriCaster 460. 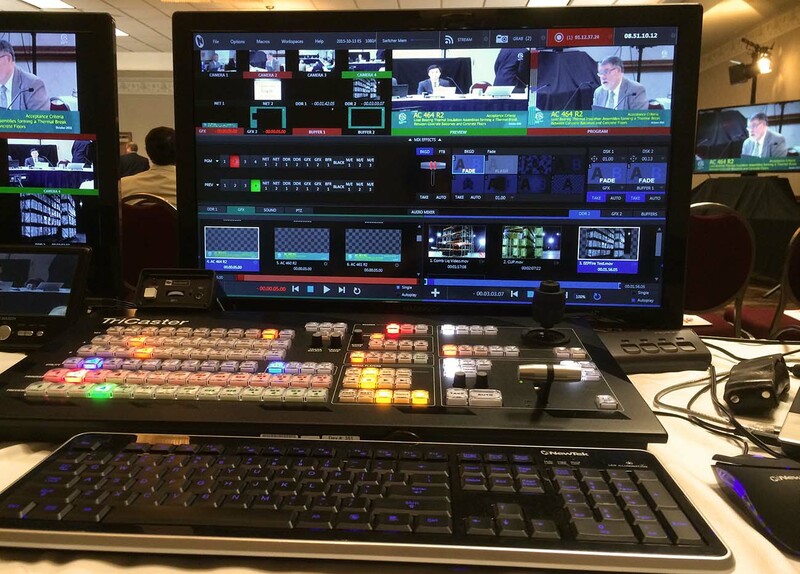 Made by NewTek, the TriCaster 460 is a remarkable production engine with 16 channels of switching power including cameras, video clip play, network input and multiple graphic displays including lower thirds. Presentations such as Power Point or PDFs are easily included within the video stream making presentations powerful communications and all with pristine HD outputs. Internet Encoding can be performed internally or sent to external encoders. 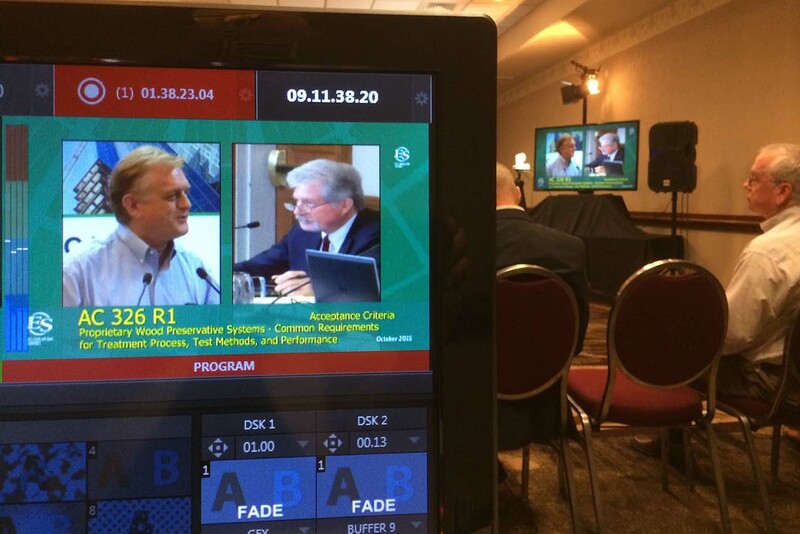 One of the great advantages of the TriCaster 460 is it's capabilities for quick Picture in Picture presenations. From 2 person conversations to graphical presentations, it has tremendous power with 4 M/Es, 2 DSKs and multiple buffers. 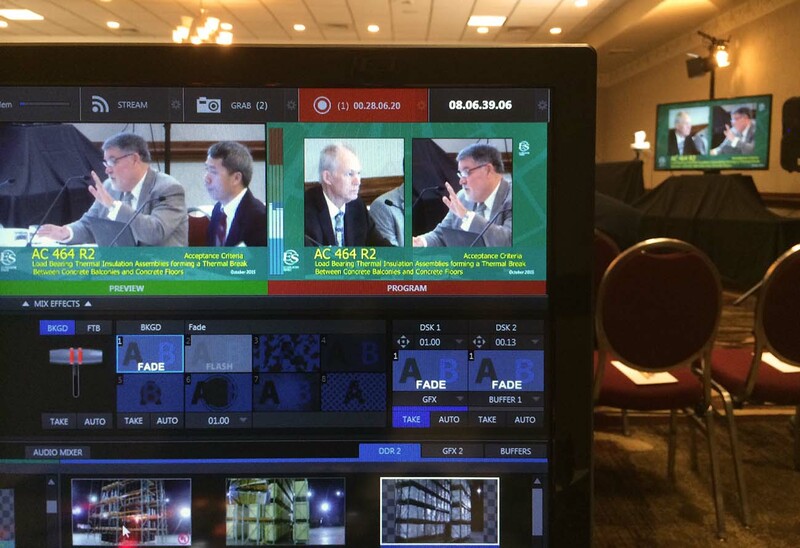 Multi-Camera Live-On-Location Service Conference and Committee Meeting Video Production Powell Communications now offers turn-key multi-camera produced recording, projection and live Internet broadcast from conference facility locations in the continental United States. 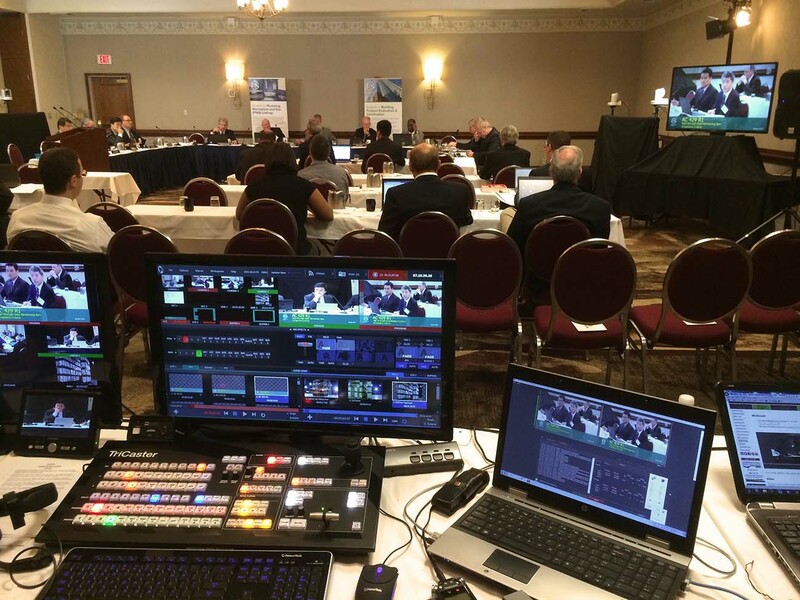 With up to 8 cameras including 4 robotics which reduces required floor space and stage clutter, 24 professional conference style gooseneck microphones, full sound support, in-venue screen projection and more, the service is designed to offer immediate broadcast communications, plus archive recording of your conference information. We can also incorporate your video, Power Point presentations and other media directly into the video program. All equipment is now in-house which reduces your cost. Travel to anywhere in the continental United States. Projects are custom bid. Please call today at (800) 283-7686 for a free estimate. WINNER! present and web-cast hearings worldwide. TELLY's Top Award Call to schedule Jim for your production today! Just added. A new JVC GY-HM600U HD video camera. Used by networks and many broadcast stations, this versatile camera records on 2 SD cards either individually or both at the same time in multiple formats. 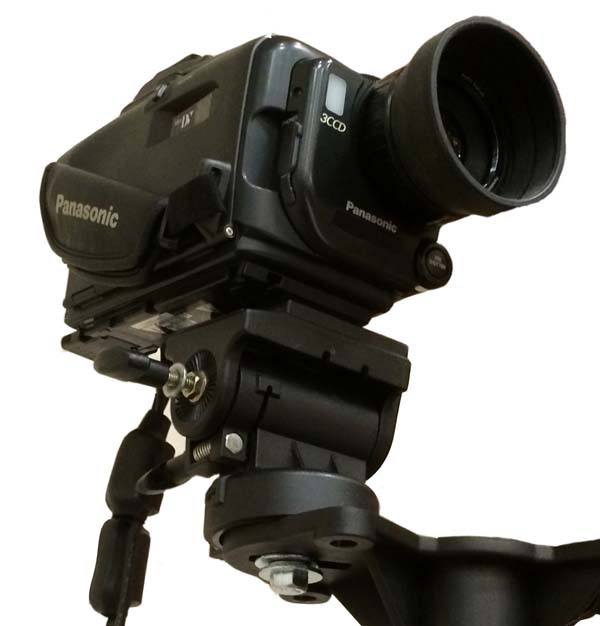 Formats including MPEG2, H.264, and AVCHD with simultaneous SDI/HDMI outputs. Terrific images for either for live broadcast, Internet broadcasting and HD recording.
. Hitachi CP-X8160 Rear and Front Screen projector now provides powerful screen images. Call for your free consultation and quote at (800) 283-7686. and live graphics control operator.